Welcome to the brand new Cabanova Touch website editor. This document lists all the features available, and where you can find them. Have fun building your website! 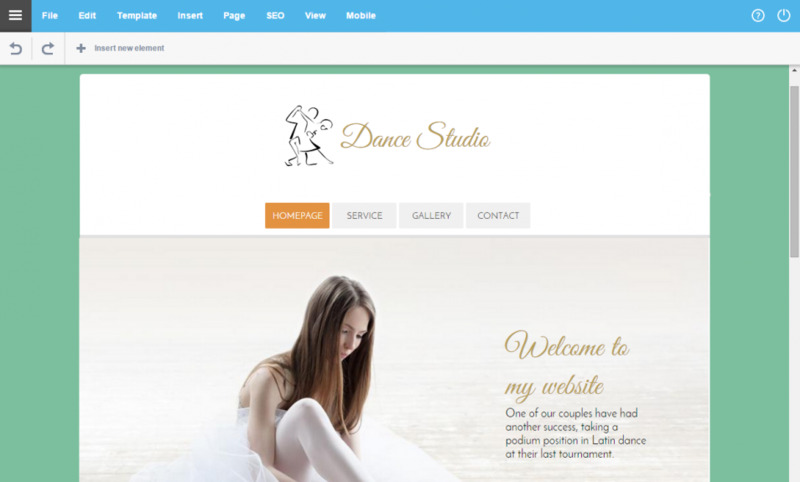 This is the area where you will find most of the features available in the website builder. You will find more details in the following pages. Every element has individual options and customization settings. Select any element, and you will find the controls for these options and settings in the format bar. 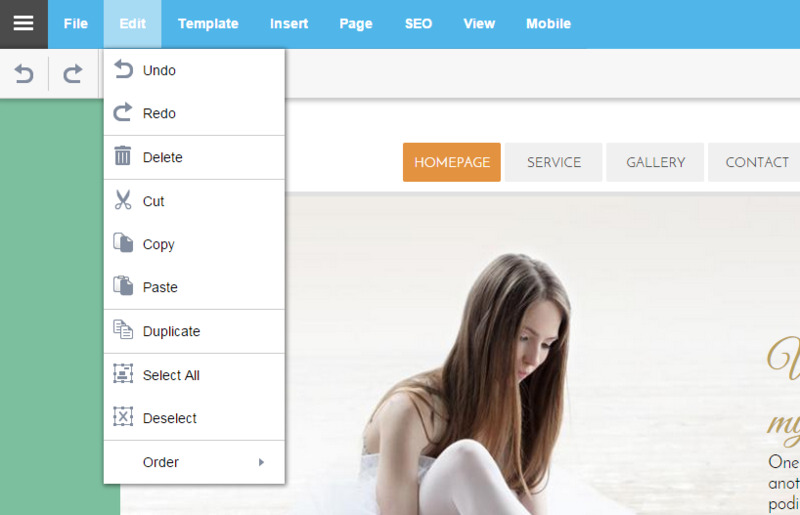 Here you can manage your website structure and move, duplicate, rename pages and more. This is the WYSIWYG (what you see is what you get) drag and drop editing environment. 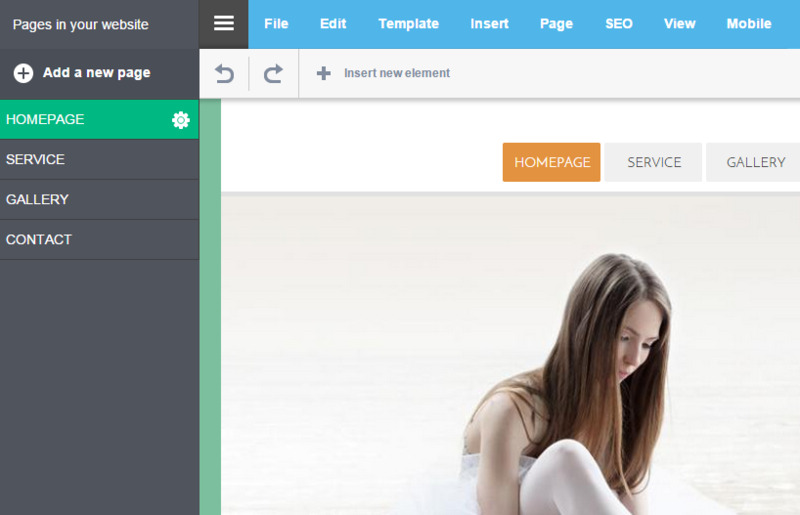 You can select, edit, move, scale (and much more) all the elements in your website here. Saves your website, but does not publish it online. This is useful when you are in the process of making changes, but are not ready to publish them online yet. Saves your website, and publishes the changes directly online on your webspace and or domain. Saves a backup of all the files you uploaded into your website, for example images and PDF downloads. Saves a backup copy of your website in the Cabanova format, on your local computer. “Export” saves a copy on your device, and “Import” lets you load it back into Cabanova, replacing the current website you have. Feature is currently not active. Choosing “Close editor” will take you back to the “My Cabanova” dashboard, while “Logout” will log you out of your account completely. No matter what you do, you can always undo it in in case you change your mind. The number of steps you can undo is unlimited from the time you load the editor until you close the editor again. Copies and pastes the currently selected element. When editing pages: Selects all the elements on your page, excluding the elements in your template. Deselects and elements you have currently selected. Move elements to the front or back, or move them one step at a time. This starts the template editing mode. Any changes you make will be visible on every page. You can choose a new template from the library at any time. Doing so will replace your current template completely, but will not affect any of the content in your individual pages. here you will find various color schemes for your selected template. 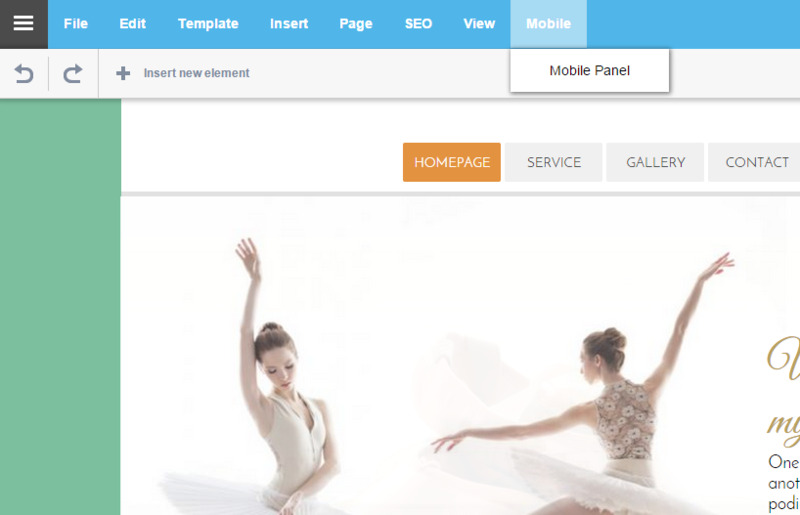 Every template comes with a number of pages containing predefined content. You can add these pages to your website. This is the little icon that appears in the browser tab when someone visits your website. You can upload a JPG or PNG file here to set it as your favicon. 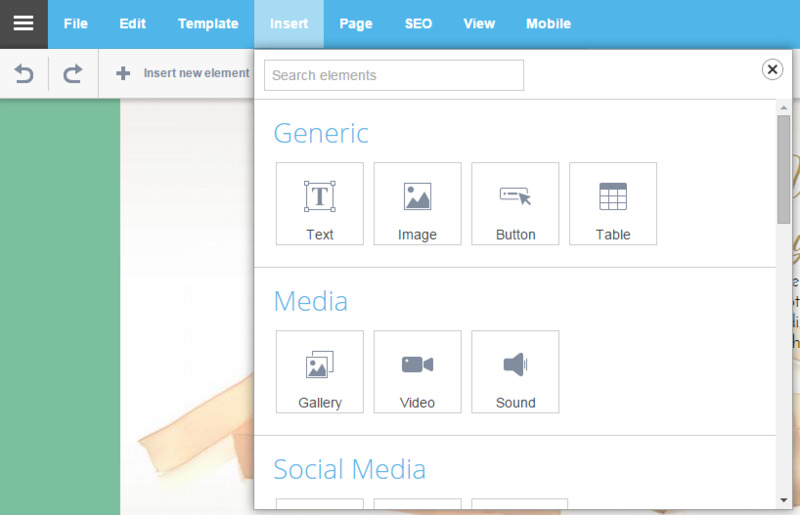 This is the menu where you can find all the elements available for you to add to your template and pages. Individual form elements: Single line field, multiline field, date, check box, radio button, dropdown menu, file upload, submit button. Poll guestbook, counter, navigation, Google map, custom HTML, external content, search. Opens a list with all the elements you have on your page. This is the background behind your website. 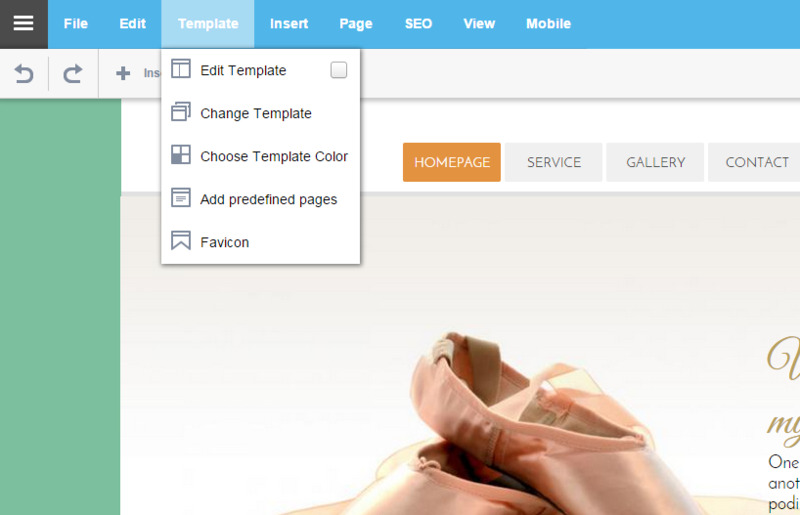 When editing your template, the background you set will be visible on all your pages by default. You can also set a different background for any selected page. As a background you can set a solid color, gradient or upload an image. 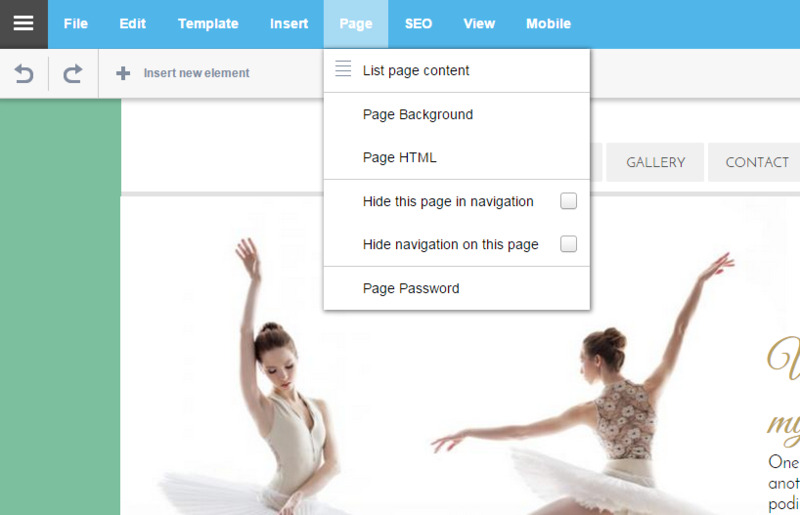 Use this feature to insert custom HTML source code above or below your currently selected page. You can create pages that are not listed in your website navigation. You can use this option to remove the navigation element from your currently selected page. You can password-protect a page here. Set page titles, descriptions and keywords here. Set alt-texts for the images on your pages. 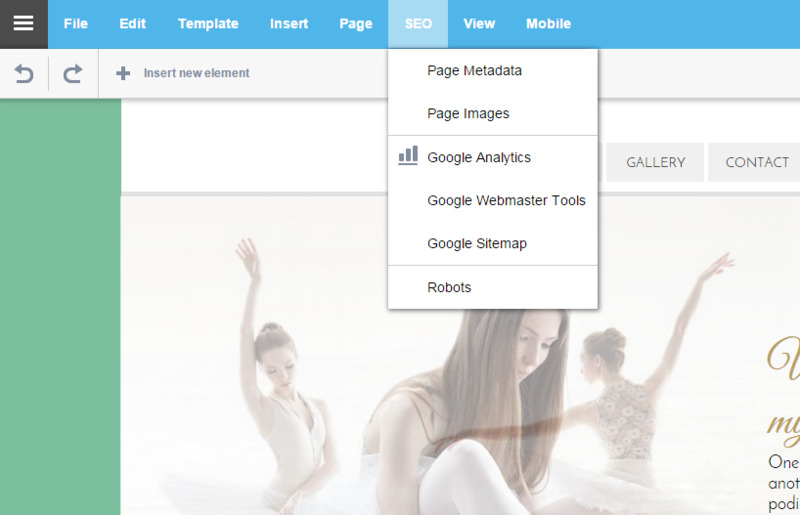 Connect your website with your Google analytics account. Connect your website with your Google Webmaster Tools account. Here you will find the URL of a sitemap that Cabanova created for your website. You need this when setting up your Google Webmaster Tools. Here you can upload a robots.txt file. This file informs search engines about the pages you don’t want to be indexed. View the last saved draft version of your website. View your published website live online. Displays information about the currently selected element. If you load the editor on mobile devices with small screens, you can zoom in the editor menus. To maximize your screen real estate, you can take the website editor fullscreen. This is where the various language versions are managed. This feature is not available for regular end-users. Here you can manage the responsive design mobile version of your website. When people visiting your published website are using a mobile device with a small screen, they will see this one-column optimized version. You can set the general style of your mobile version, and choose which elements from your regular website you want to have displayed in your mobile pages. Whenever you add new elements in your website, be sure to open the Mobile Panel and add them to your mobile version also. This is where you manage the pages in your website. To open the pages manager, hit the grey hamburger menu ( ) at the top left of the page.